An eye catching to our addition of Venetian mirrored furniture comes this brand new and unique Rome mirrored bedside table. Crafted from clear cut glass, this beautiful mirrored bedside table with 2 drawers each with a crystal crystal handle is sure to provide luxury and elegance in plenty of bedroom design settings. 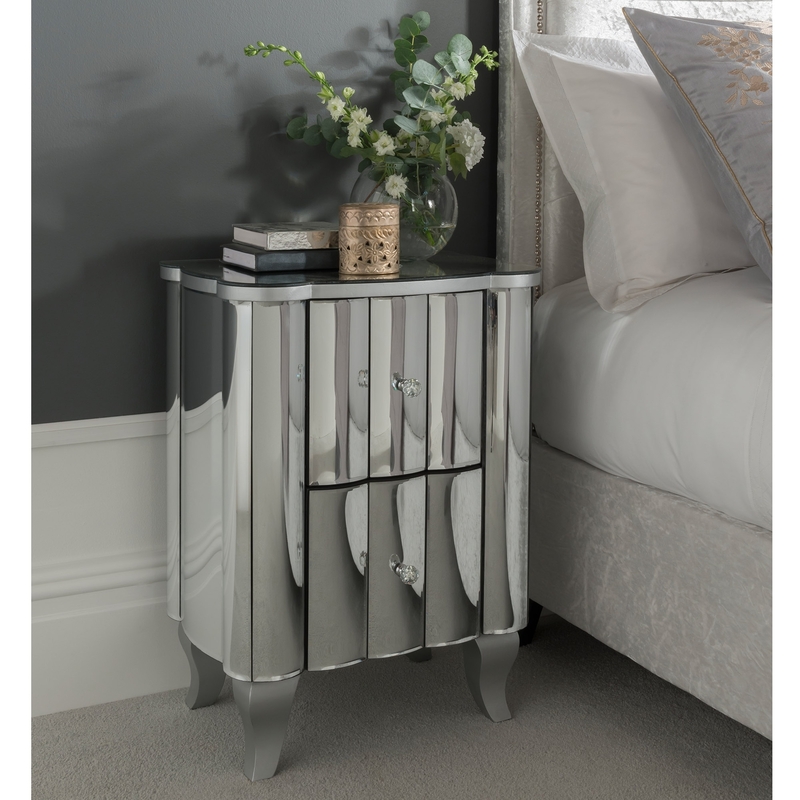 Ideal to give the appearance of a bigger and brighter room, this mirrored bedside cabinet will impress across generations.